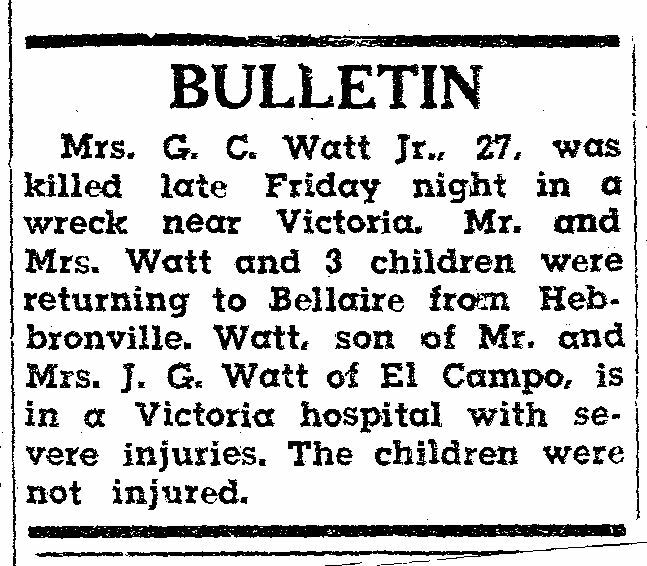 Newspaper articles and obituary regarding the death of Mrs. Marilyn Watt. [S19] Texas Deaths, 1890-1976, (FamilySearch), 13 Feb 2010. [S11] Find A Grave, (www.findagrave.com), 13 Feb 2010.